Always remember to maintain your heating appliance and chimney! - Gas and oil both once a year. Deaths related to carbon monoxide (CO) poisoning need to be taken into account. The UK is a front runner in such deaths and accidental CO poisoning due to lack of regulations relating to chimneys and appliances that burn fuel. 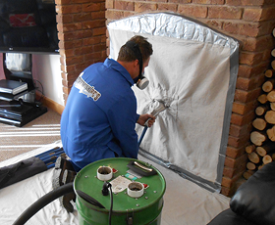 For this reason it is clearly important to use the service of a qualified and registered chimney sweep who will issue a valid certificate which can be presented to the insurance company in the case of a claim for any kind of damage. 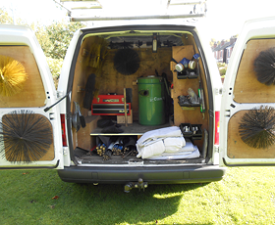 We are chimney sweep company based in Stoke-on-Trent Staffordshire. We offer fast and reliable service in Stoke, Crewe, Nantwich, Stafford, Uttoxeter, Newport, Leek, Congleton, Staffordshire and Cheshire. Staffordshire, Cheshire, Kidsgrove, Alsager, Congleton, Crewe, Nantwich, Audley, Stafford, Stone, Biddulph, Chell, Milton, Abbey Hulton, Newcastle-under-Lyme, Chesterton. In cities like Stoke-on-Trent you may have to burn smokeless fuel in your fireplace or stove, but whatever you burn you need to make sure that your chimney is regularly cleaned by a qualified sweep who can issue a certificate of completion. 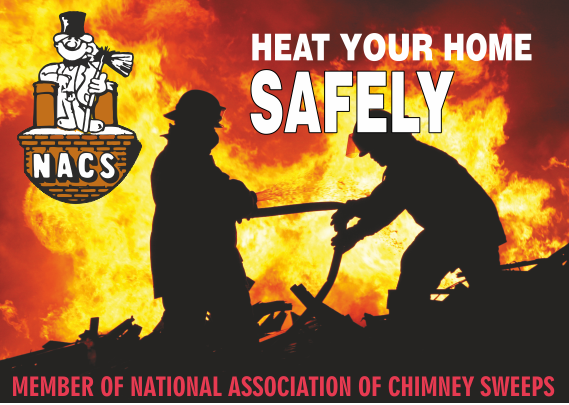 Your chimney sweep needs to know about safety issues relating to all kinds of chimneys, fireplaces and flues to give you peace of mind and to protect your family from harmful fumes and safeguard your building from chimney fires. So it is essential that whoever sweeps your chimney is trained, fully insured and certified by a professional chimney sweep organisation. 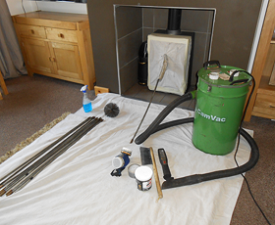 Staffordshire Chimney Sweep is NACS Qualified, so you can be assured of an efficient competent service.